Here’s the 8th part of my bi-weekly column with The Star Metrobiz. Read the original post here. Hope this helps. Asean is a burgeoning but fragmented market, and entrepreneurs who want to succeed will need to tailor product and message accordingly. This is a relevant topic for most startups in the ASEAN region, as most countries don’t have a market size large enough on its own, with the exception of Indonesia at a population of 300 million. However, observed as a whole, ASEAN is the 5th largest economy in the world with a population of 600 million, even larger than that of the US. Therefore, entrepreneurs that want to build high-growth venture-fundable companies have to take advantage of this and build products that can scale regionally. According to Tech in Asia (TIA), investors invested half a billion dollars into South-East Asian (SEA) e-commerce startups in 2013, making it close to 90% of all publicly disclosed investments in SEA. This shows that investors are making huge bets on e-commerce growth in this region, and hopefully an increase in credit card penetration will help support this trend. Currently, Singapore has the highest credit card penetration at 37%, while Malaysia is second at 12%. Thailand is third at 5% and Indonesia is only at 1%, even though having the largest ASEAN market. 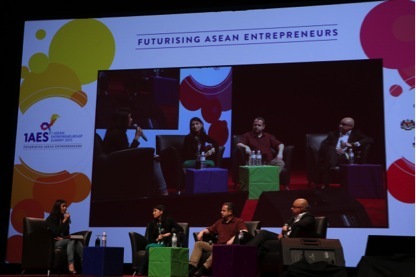 “The growing ASEAN middle class population and an increase in spending power is creating a demand for many things that middle class people everywhere want but with a twist reflecting local Asian culture – higher quality education, e-commerce, and mobility being a few examples,” said Hugh Mason, founder and CEO of JFDI, SEA’s longest-running seed accelerator based in Singapore. This rapid increase in demand reflects the fact that people now expect products with increased convenience, instant gratification, and a higher quality of service. General Manager of GrabTaxi, Nina Teng, echoed this sentiment and added that it was important for entrepreneurs to listen to their customers’ needs and to adapt their product offerings to suit the different cultures in the region. Inevitably, there will be times when entrepreneurs will face crossroad decisions, and this is where, according to Nina, founders need to develop a strong mission statement and core values to guide the company’s direction, no matter where it operates in. Baba Shiv, Professor of Marketing and Strategy at Stanford Graduate School of Business, who had just concluded a week-long MaGIC Go2Market program to help budding Malaysian and ASEAN entrepreneurs commercialize their ideas, observed a stronger focus on consumer-led innovation in the region versus Silicon Valley’s technology-led innovation. “Easy and simple startups that don’t require ‘boots on the ground’ have generally already been done,” said Hugh. Entrepreneurs need to be more creative in developing products that solve more complex problems that still exist in the region. For example, the “last-mile delivery” issue is still a challenge for most e-commerce companies, and will require a mix of optimization algorithms and smart logistics solutions. The differences in language, culture, currency and regulations will always be a prevalent challenge for entrepreneurs in this region. Even successful giants like Amazon.com have decided not to enter Southeast Asia yet. However, the bigger the challenges, the bigger the opportunities. Because it’s such a fragmented market, an entrepreneur that has successfully captured the regional play will make it tougher for an outside competitor to enter, hence building in a strong defensibility. For startups looking to scale in the region, Nina highly recommends hiring locals because they understand the local market and its nuances better. She also stressed the importance of tailoring a company’s marketing message to fit the local audience to make a product relatable. For example, in Malaysia, safety was top of mind; hence their tagline is “We like it safe.” In Singapore however, speed was more important since the country was relatively safe. Hence their tagline is “We like it fast.” Localization is key to how GrabTaxi managed to quickly dominate each of the taxi markets over their competitors. With so many countries in ASEAN, it can be difficult to choose which market to first test a product or expand to. There is also the question of whether an entrepreneur should start off focusing on one market and then expand later or release in multiple markets at once. 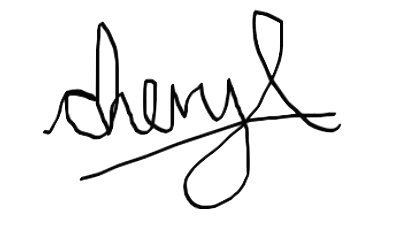 Generally, successful entrepreneurs and investors advise startups to first demonstrate success in one market. This proves that you can execute and that your model works. Being more focused at the start also reduces your burn-rate and gives you the flexibility to iterate based on user feedback before scaling to other markets. Being able to show rapid traction in one market lends comfort to investors and makes them more willing to pull out their chequebooks to help your startup scale. However, it is important to consider the right investors, not just anyone who’s willing to invest. Baba highlighted the importance of raising money from strategic investors who has the right expertise and connections. Entrepreneurs should always try to raise “smart money” and pick investors who can really add value in your venture. In conclusion, the outlook for the region is extremely positive and high-growth entrepreneurship is a very attractive opportunity right now. However, in order to fully capitalize on this, ASEAN must come together and make this a concerted effort. We cannot act in silos. MaGIC aims to help bridge the gap by cultivating a strong ASEAN entrepreneurship community. In July 2015, we are introducing the MaGIC Accelerator Program (MAP), of which 40% of the 50 startups we accelerate in the ASEAN Startup Track will come from the region. It is my hope and vision we will see the success stories in a few years as the walls come down and we capitalize on ASEAN’s growth story.